Ryan Howard and the Phillies will look to launch more long balls as they return home for game three of the World Series. Game Three of the 2009 World series shifts today to the new launching pad in the National League, Citizens Bank Park. It’s a bit ironic that the Philadelphia “Mashers” at one point in time had a far better record on the road than they did at home. They righted that situation in the second half of the season to finish nine games over .500 at home. The post-season is a completely different story as the Phillies have lost a grand total of three games over the past three post seasons. They’ve won 12 games and the only team to beat them at home was the Colorado Rockies. Today they try to keep that streak going with 2008 World Series MVP Cole Hamels going up against one of the great post-season pitchers, Andy Pettitte. Game three has always been a critical game in the World Series. In the past 10 World Series where the two teams were tied at one a piece, the team who took Game Three went on to win the World Series nine out of the last ten times. Those are pretty darn good odds for the winner of today’s game. 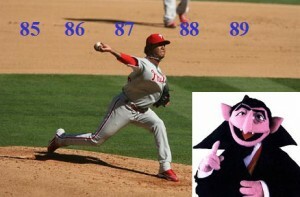 Pitch counts are right up Count Dracula's alley, but how good are they for major league pitchers? I have never been one to second guess. It’s so easy after the fact to say he should have done this or he should have done that. If you raise the concern before it happens, then you have some validity in making a point. I am what many would consider an “old timer” when it comes to watching baseball. It’s been over a half a century and plenty of games have happened where it’s very easy to say why did you do this when speaking of a manager’s move. I am not a “traditionalist.” I like the modern game. I love Interleague Play, even if it’s the Seattle Mariners against the Colorado Rockies. I’m not crazy about the Designated Hitter, but I do wish for consistency for both leagues. The following is part of a weekly series called “Through the Eyes of…” In each segment, I share interviews with or stories about those who I view to be the “Good Guys.” The men and women who participate in and are the very fiber that make up the great game of baseball. 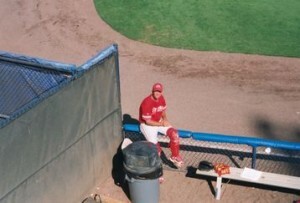 Bill Artz, alone in the pen, waiting to warm up a Phillies reliever. There is hardly a soul who has ever picked up a leather glove and a hardball, who hasn’t also dreamed of making the journey to the the big leagues. The two travel nearly hand in hand once the sound of rawhide against hardwood is experienced. And for nearly every child who dreams the dream of playing major league baseball, so too goes the subtle disappointment that comes with the realization that the dream is just that: a dream. They are few and far between, those with the gift, the willingness to work and the dedication necessary to succeed that make it all the way to the Show. 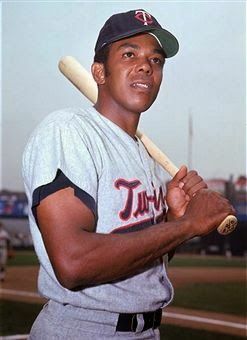 But then there are the nearly chosen few, who don’t make it to the big leagues, but by luck or by circumstance still get to pull up the stirrups next to the big boys. For 486 consecutive games from Opening Day of 1998 to the call of “wait til next year” in 2000, Bill Artz was privileged enough to put on the uniform of the present World Champion Philadelphia Phillies and catch the likes of Curt Schilling, Randy Wolf, and Mark Portugal in his role as the Bull Pen catcher. Though not a glamorous position on the hierarchy of the baseball org chart, there is nary a one of us, that wouldn’t give up doing what we are doing today to experience a cup of coffee or two and maybe a mid game catch with Paul Byrd, Mark Leiter or Vicente Padilla. Today, Artz owns and operate Big League Floors, a Philadelphia based company that provides residential and commercial floorings services for an eight county area in Pennsylvania and New Jersey. Pedro Martinez is back on the main stage with the Philadelphia Phillies. It is no secret among these parts of my love affair with Pedro Martinez. I can qualify that statement by the countless number of articles I have devoted to him in the past year on these very pages. I have been enormously critical of the Mets organization for their lack of foresight when it comes to this living legend. I have said it more than once, that if Pedro were to have been resigned by the Mets, his buddy Manny Ramirez would have roamed left field this past year in Citi-Field. But those were pipe dreams, and the reality of another post season begins to today for Pedro when he takes the mound against another former Philadephia Pitcher Vincent Padilla, which excites me as a fan to get the opportunity to, once again, be in the presence of a true future Hall of Famer, and the best pitcher of this past generation.